Aprilia has come out with another addition to the Tuono family with the naked 125cc variant. Drawing inspiration from the Tuono V4 1100, the Aprilia Tuono 125 is the roadster version of the RS 125. The Aprilia Tuono 125 has everything you need from the RS 125, while making it an everyday motorcycle. How will the Aprilia Tuono 125 fare against our expectations? Let’s find out! When you first take a look at the Aprilia Tuono 125, you can see that it borrows its handsome and sportier aesthetics from its bigger cousin, the Tuono V4 1100. The Aprilia Tuono 125 is the first in its category to be naked as it only has half-fairing. 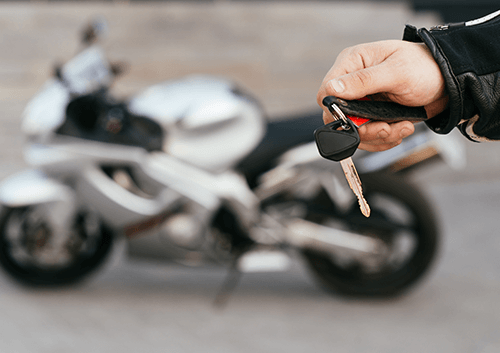 As the motorcycle is naked, it can only provide a small degree of protection from the wind. 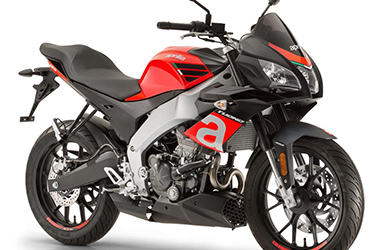 The fairing makes the Aprilia Tuono 125 look sporty while giving it a powerful personality. The chassis of the Aprilia Tuono 125 is magnificent as it is lightweight and rigid. Even though it is a sports bike, it is extremely comfortable for you and the passenger. Thanks to the inverted 41mm forks in the front suspension and monoshock for the rear, the ride is quite smooth and comfortable on the road. The design of the foot pegs on the Aprilia Tuono 125 is in such a way that it doesn’t fatigue the rider at all times. On top of that, the foot pegs also have rubber to add an extra level of comfort to you and your passenger. Thanks to the four-piston 300mm discs in the front and the 218mm discs at the back have more than enough power to bring the Aprilia Tuono 125 to a complete halt in no time. Taking the Aprilia Tuono 125 through corners is simple as the motorcycle is lightweight and easy-to-ride. The Aprilia Tuono 125 comes with a lot of instruments that are for racing purposes. For example, there is a stopwatch and clock that allows you to record the time for 20 laps. You can also connect your smartphone to the Aprilia Tuono 125, allowing you to view loads of information on your phone screen. The engine powering the Aprilia Tuono 125 is a single-cylinder, four-valve, four-stroke, liquid cooled engine that can produce 14.75 bhp at 10,750 rpm and 8.9 lb-ft of torque at 8,000 rpm. Due to the lightweight chassis and Aprilia’s innovative Quick Shift, the Tuono 125 is quick off the line. The Aprilia Tuono 125 also has no hassles in reaching its top speed of 80 mph. 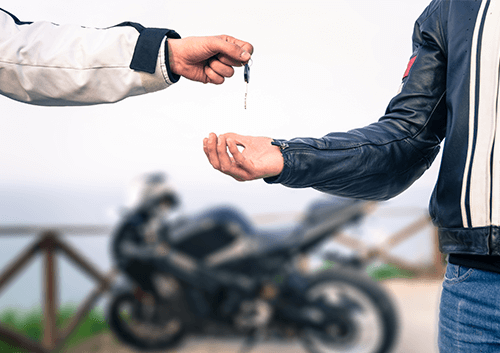 Even if you are keeping the motorcycle at low revs, the power is always responsive and optimal. 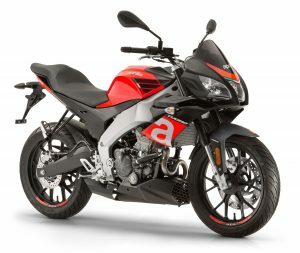 All in all, the Aprilia Tuono 125 is a great motorcycle that is compliant with the A1 license. 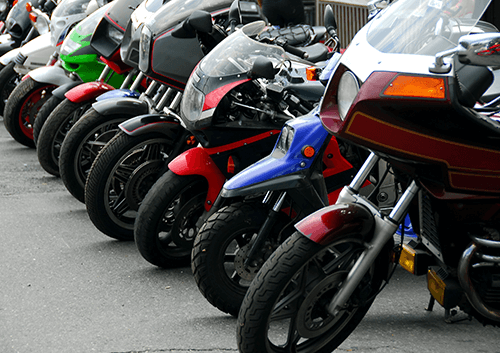 Even though the engine only produces 125cc, the motorcycle is fun to ride at all times, thanks to its lightweight chassis and Quick Shift feature. The ride is comfortable even on bumpy roads, making this motorcycle great for daily use. For just £4600, the Aprilia Tuono 125 is a steal!